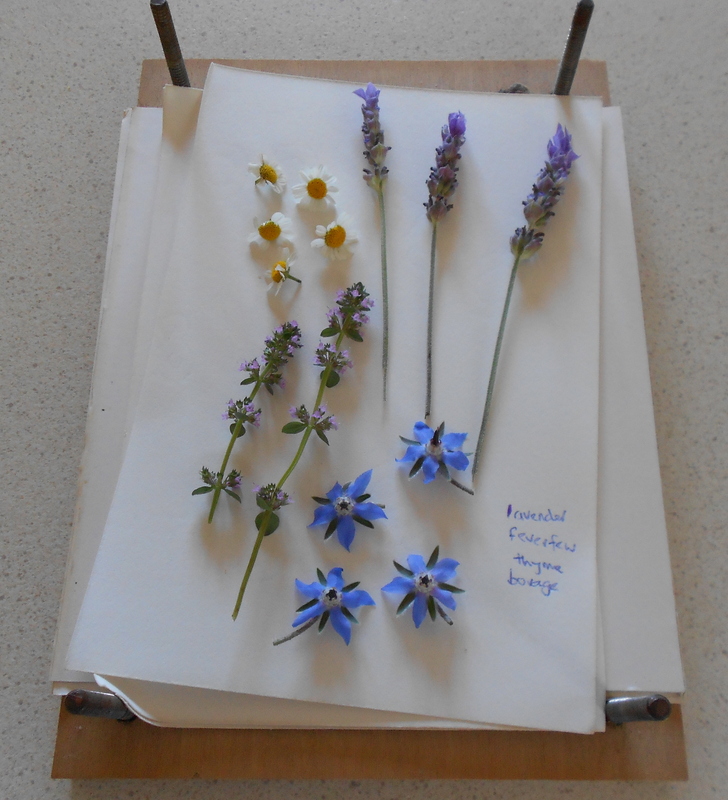 A while ago when my mother was having a clear-out, she gave me an old flower press and some pressed flowers that she had pressed many years ago, some of which still lay between the pages of old telephone books. She knew that I could find a use for them in my craft projects. 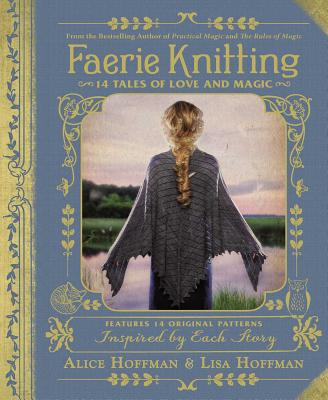 They are great for making cards and bookmarks, for embellishing scrapbook pages, and for using in mixed media art. 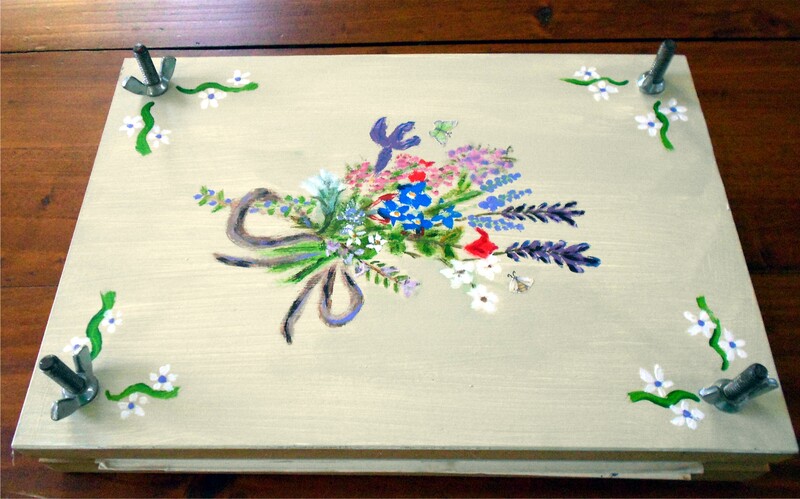 I decided to paint the top of the flower press to add a bit of colour. 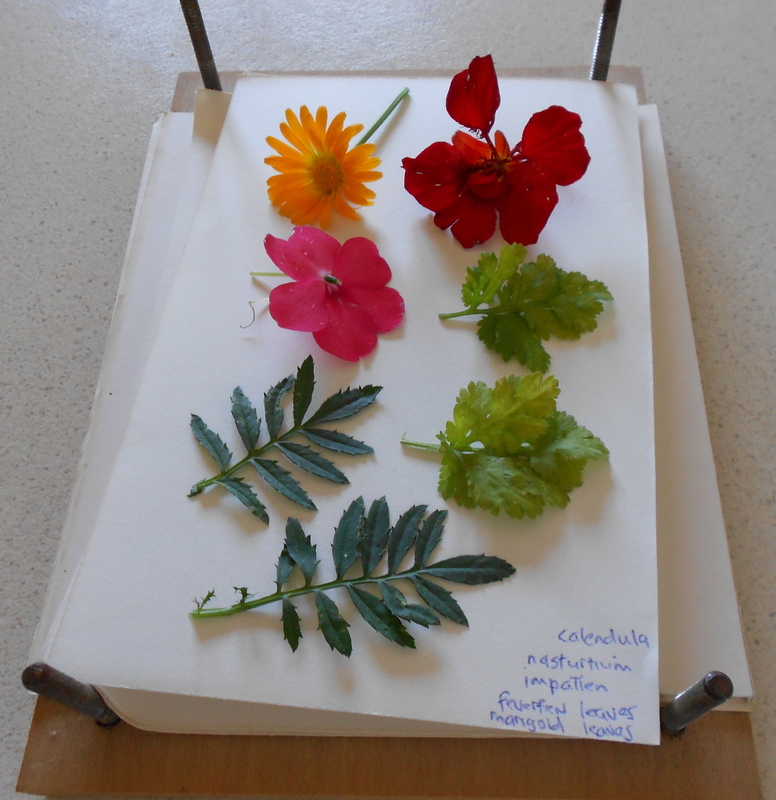 I have been experimenting with flowers from my garden, learning which ones press well and which ones keep their colour. I’ve found that oranges and yellows seem to hold their colour well, as do mauves and violets, but pinks will often fade to nothing, and reds will sometimes change to a brown colour. When I go for walks, I collect interesting ferns, grasses and leaves that I think will press well. 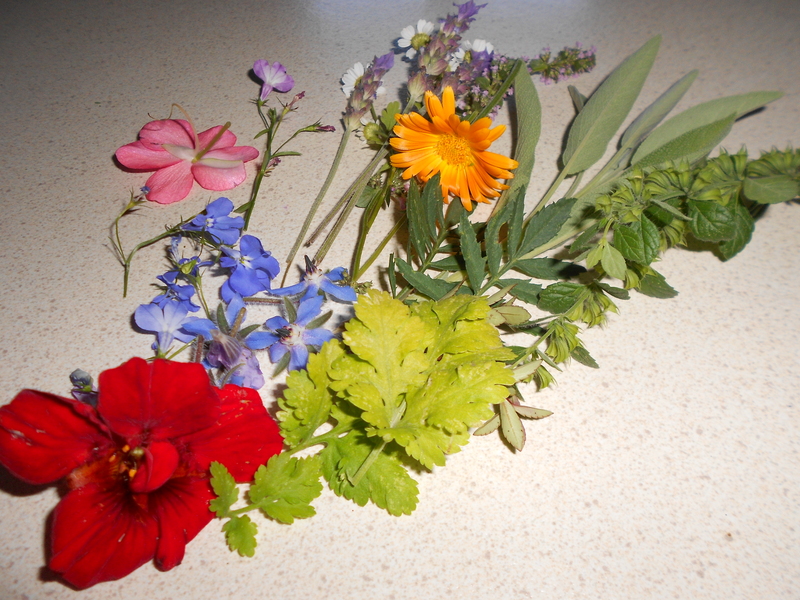 Below is a variety of flowers and foliage picked from my garden. I placed the flowers and leaves between sheets of blotting paper, building up layers. It’s a good idea to label them as you go, as it is easy to forget what they are when you go back to them several weeks later. They should be left for at least two weeks, although thicker plants may take up to six weeks. Of course, you don’t have to use a flower press. Placing the flowers between sheets of blotting paper, then putting them between the pages of a book with something heavy on top, such as a pile of books, will work just as well. The calendula and lobelia held their colour well as you can see from this bookmark. The cute little feverfew flowers added some nice texture. My grandmother always loved flowers and gardening, and all the homes she lived in had beautiful gardens. She did the flowers for her church for many years, providing flowers from her own garden, and also ran the flower stall at the church fairs. 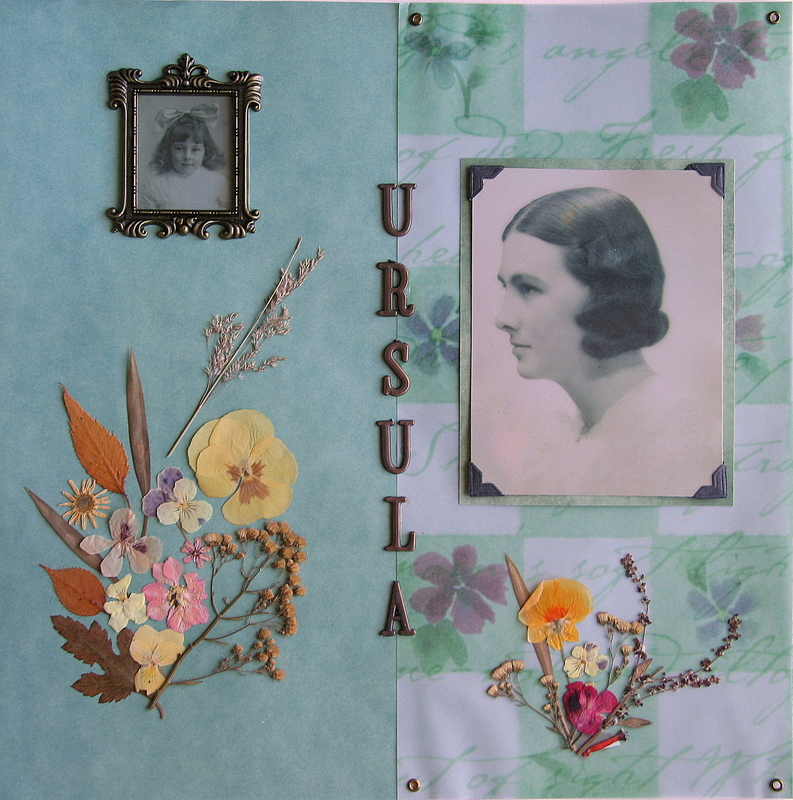 The pressed flowers that I used on this scrapbook page are ones that my mother pressed more than twenty years ago. Amazingly they have held their colour for all those years, and made a wonderful embellishment for my grandmother’s page. This entry was posted in Crafts, My Blog, Scrapbooking and tagged flower press, pressed flower bookmark, pressed flowers, scrapbook page, scrapbooking. Bookmark the permalink. 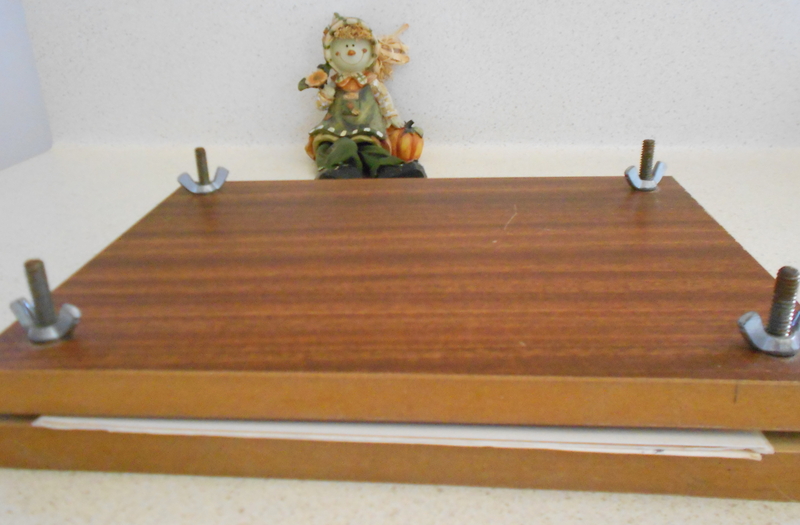 Made three of these presses over Easter weekend for the Easter Bunny to bring to my kids. They love them! They all have a batch going now. That is such a lovely idea! I’m sure they’ll have lots of fun with them! Oh wow, that reminds me so much of my own granny… she used to press flowers and make cards for people 🙂 It’s a lovely art. 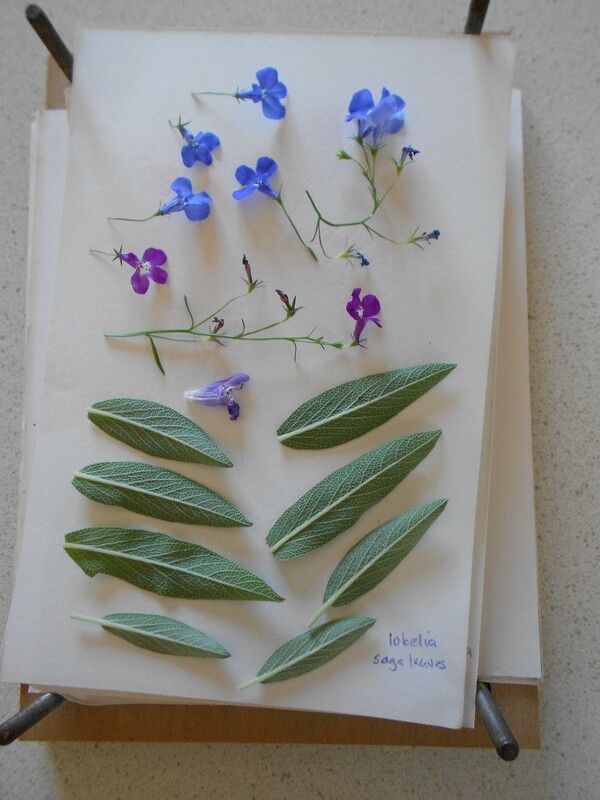 It’s fun picking flowers from the garden and seeing how they turn out when they’re pressed. There are so many different ways of using them in crafts. I’ve started using them in my art journals. I love your grandmothers page! So pretty!! I feel so dumb, never knew there was such a thing as a flower press. I like how you dressed it up. Thanks! I love doing heritage scrapbooking with old family photos and the pressed flowers seemed perfect for my grandmother. How pretty! It looks like fun and relaxing – I love flowers! Thank you! It’s fun pressing the flowers and seeing what they turn out like a couple of weeks later, and then deciding how to use them. Wow! That’s creative.. I love flowers too.. And thats a good idea. Thanks. There are so many creative ways of using pressed flowers, and it’s fun to do!